Atlético Madrid were dismantled two weeks ago in Dortmund. Between the 73′ and the 89′ minute, Dortmund scored three unanswered goals to win the match 4-0. Nonetheless, Atletico Madrid midfielder Koke would later claim that the result was a fluke. 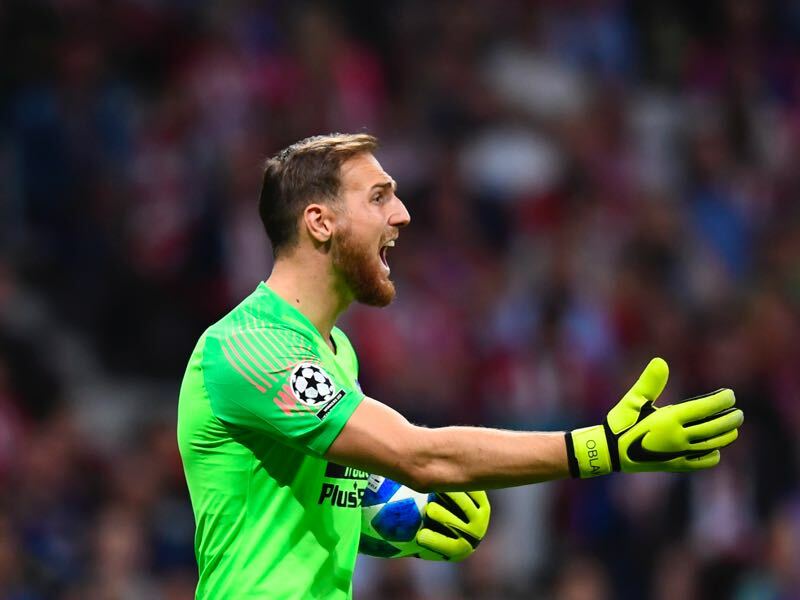 “What happened a few days ago was a fluke result,” he said to Movistar+.”If you see the game it’s clear that it wasn’t a 4-0 match, they were more effective than us,” Koke said. The midfielder is not entirely wrong. Dortmund were up 1-0 going into halftime and from the 45′ minute to Dortmund’s second goal Atlético were pressing hard for the equaliser. But Dortmund stood their ground and, like Koke suggested, were ruthless on the counter. In fairness, however, despite that 15-minute spell in the second half Atlético were second winners in every area of the field. Going back Atlético showed some surprising weaknesses, and while the result was perhaps a bit too high, it was also deserved. Dortmund, therefore, have nine points having won every game; Atlético are three points further back in second place and hold a five-point cushion over both Club Brugge and Monaco. 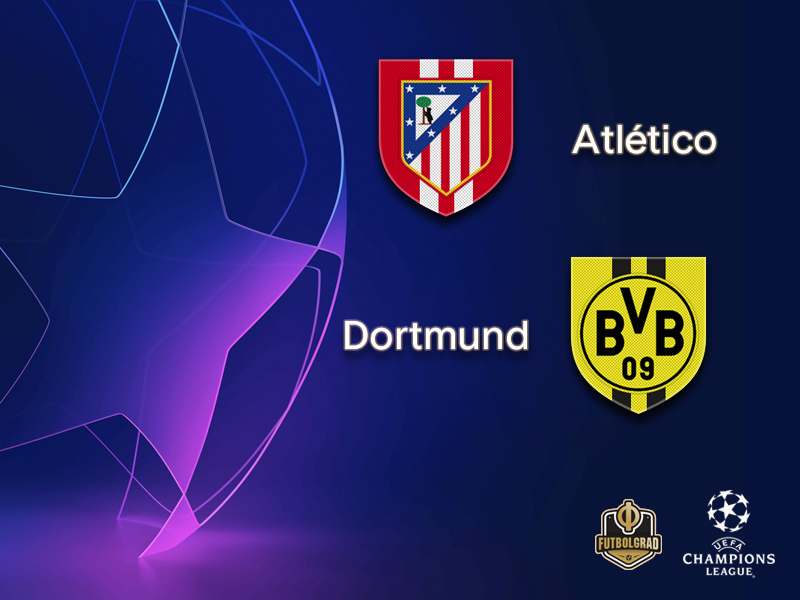 Dortmund will, therefore, be through as group winners with victory while Atlético will be through, in tandem with Dortmund, with a win if the game between Monaco and Club Brugge is drawn. It is a brilliant opportunity for the Yellow and Blacks in the Spanish capital. But the coaching staff and management have been somewhat cautious heading to Spain. “Atlético are motivated and will do everything to turn around the result from the first match,” the director of licence players Sebastian Kehl told the media ahead of the match. Dortmund also have to find the balance between the game in Madrid and Saturday’s top match against Bayern München. Dortmund are first in the Bundesliga at the moment, four points ahead of third-placed Bayern, and a win on the weekend would put them in the driver’s seat for the Bundesliga title. Hence, it will be all about finding the right balance for head coach Lucien Favre against Atlético. For Dortmund, the good news are that Lukasz Piszczek and Manuel Akanji will be back in the lineup. But another astonishing triumph over Atlético seems unlikely, yet Dortmund have enough to get something out of the game. The talk has been all about super striker Paco Alcacer this season. The Spaniard has been scoring for fun in all competitions and added another goal this weekend. But Dortmund’s key reason for the fabulous start has been captain Marco Reus. The attacking midfielder has collected nine goals and seven assists in the 1294 minutes he has been on the pitch this season. Finally, healthy the 29-year-old captain is Dortmund’s most important player. “He has become older and more experienced and carries the team,” Dortmund CEO Hans-Joachim Watzke told kicker. The key has been new head coach Lucien Favre, who “discovered” Reus during his time at Borussia Mönchengladbach. The two have a close relationship, and the Swiss head coach gives Reus the freedom to create on the pitch, which in turn has led to perhaps his best start to a season since he joined Dortmund in 2012. The defeat in Dortmund ended Atlético’s five-match winning run in European games and was only their second defeat in their last 17 matches in continental competition (W11 D4). 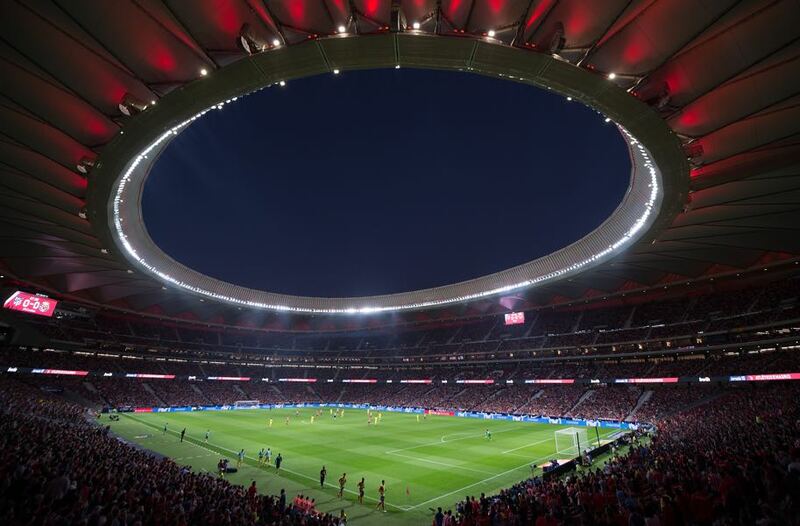 Atlético won only one of their three home games in last season’s group stage and had their 11-match unbeaten home European run (W9 D2) ended by a 2-1 loss against Chelsea on matchday two – the Spanish club’s first continental game at their new Estadio Metropolitano home. Atlético are on an eight-match unbeaten run at home to German clubs (W6 D2), dating back to the 1-0 defeat by Dortmund in the 1996/97 group stage. Before this season, Dortmund had won only one of their last 11 UEFA Champions League fixtures (D3 L7); they have now won three in a row, their best run since autumn 2016. Dortmund have won just once in 14 previous visits to Spain (D5 L8) and were beaten 3-2 at Real Madrid on matchday six last season, their last visit. The solitary success was that 1-0 victory at Atlético in the 1996/97 group stage, courtesy of a Stefan Reuter goal. Before matchday three, BVB’s last eight games against Spanish sides had all pitted them against Real Madrid; they won only two of those contests. The defeat of Atlético ended a four-match run without a victory against Liga opposition (D2 L2).